Your grandparents may have gone to Trader Vic's for a taste of Polynesia, but now that tiki bars are mildly trendy, Trader Vic's is down to two U.S. locations: one just east of San Francisco, and the other in Atlanta. However, Trader Vic's is big in the Middle East. Of its 18 locations internationally, 11 are in the Middle East, including several in countries where drinking alcohol is, in theory, prohibited. You might think this is a hurdle for a restaurant chain that made its name with powerful rum-based cocktails, but in fact, that's the appeal. Trader Vic's has 6 locations in hotels in the United Arab Emirates, where alcohol is allowed only in hotels. It also has restaurants in Bahrain, Oman and Qatar, where drinking is limited in similar ways; locals can go get their buzz on, and then return to piety. There is a Trader Vic's in Riyadh, Saudi Arabia, but it serves only alcohol-free "mocktails." 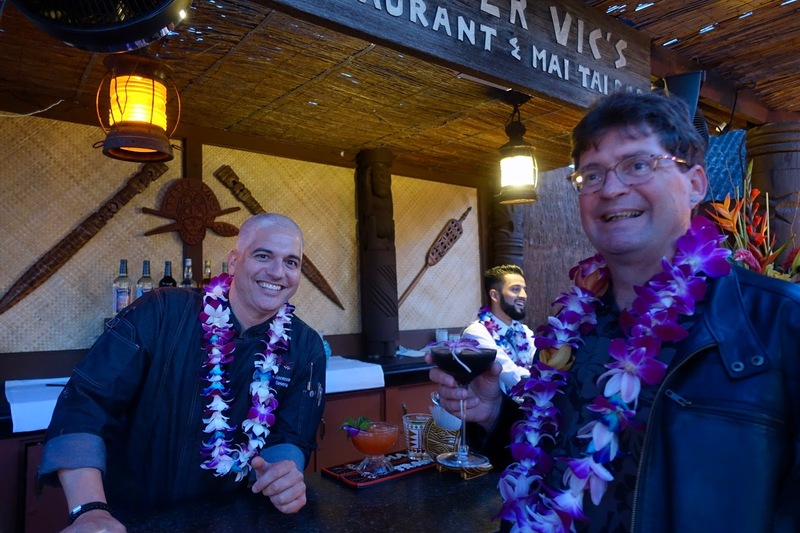 "When we started the concept, in the (19)40s and '50s, you couldn't get to places like you can now," Trader Vic's director of beverages Nicholas Ascenzo told me. "People came to Trader Vic's for something exotic. Now you can fly to Polynesia. But in the Middle East, they don't go to Hawaii and the South Pacific, so we are still exotic." 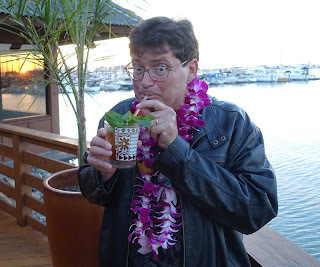 I learned this while trying six different tiki cocktails at Trader Vic's in Emeryville, across the bay from San Francisco. I had been to Trader Vic's in Tokyo because they serve Thanksgiving dinner, which few other Tokyo restaurants offer. But I had never had a Mai Tai, so when I got an invite to check out their wares for National Mai Tai day 😏, I said, why not? Trader Vic's sells two types of Mai Tais: one made from a bottled mix, and the other from the original made-from-scratch recipe. This cocktail, called the "1944 Mai Tai" after its date of creation, is outstanding, one of the best tiki cocktails I've had. Now I understand why the Mai Tai is still popular after nearly 75 years. * Royal Amber is Trader Vic's house brand of rum. Ascenzo says home recipes can substitute a 50-50 mix of light and dark rums; he recommends Myer's. There's a reason that this is still mainly a bar or restaurant drink, and that's the orgeat. It's an exotic ingredient that you can buy or make yourself, but the latter is a lot of work for a few Mai Tais. Tasting the original, though, makes it seem worth it. It's complex, mildly spicy, refreshing and not particularly sweet. I tasted five other cocktails -- that was work -- but I went back to the Mai Tai and finished it, and even had another. Only the first one was work. I'm amazed to see that Trader Vic's is still around. Next thing you know I'll find out that there are still HoJo restaurants. My one experience with Trader Vic's was when I lived in Washington, D.C. in the 1970's. As I recall, it was dreadful.